The best time to replace your flag pole halyard is before it breaks. Yes, that sounds obvious, but if you wait until it breaks, then you'll need to feed the new halyard through your pulley at the top of the flagpole without the help of the previous halyard. This often means a bucket truck or lift to get to the top of the flagpole. Instead of waiting until you have to spend all that money, replace your halyard when it starts to feel different. The fibers when they are new are soft and flexible. When they don't feel that way anymore, replace your halyard (rope) before it's too late. 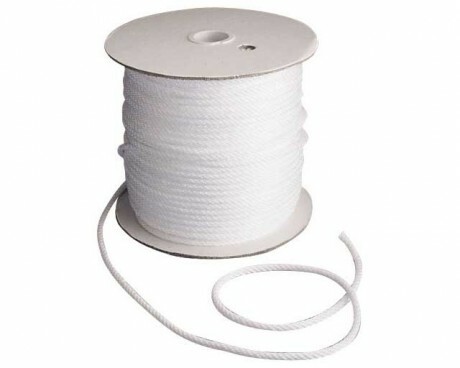 If you aren't sure about how the rope feels, replace your halyard every few years. If you're flying a flag that is 6x10' or larger, every other year is recommended. 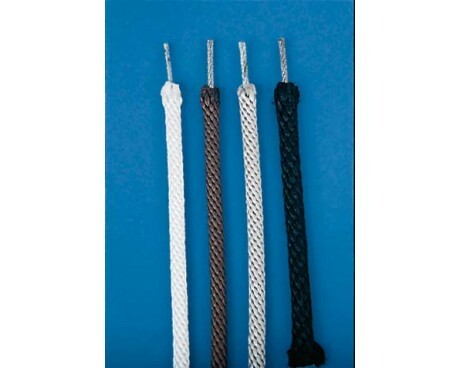 Untie the knot that keeps the 2 ends of your halyard together. Don't let go of either end or it could slide up through the pulley and be lost. 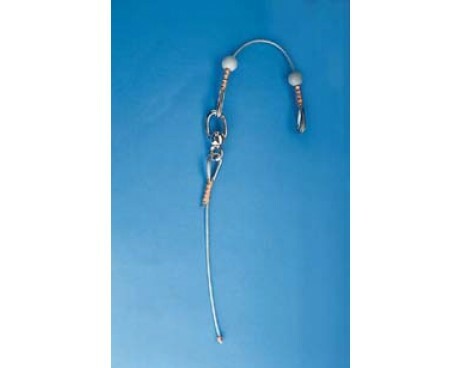 attach one end of your new halyard to the end of the old halyard using tape or a wire. However you attach it, be sure that it's not too thick or it won't fit through the pulley at the top. We recommend using a piece of wire like a staple. Push it through each end with a few inches to spare and bend it over, then wrap tape around all of it. Pull on the loose end of the old halyard. This will lift your attached joint up to the top of the pole and through the pulley at the top. Don't pull too hard or you may separate things. If it's stuck, use the loose end of the new halyard to bring it back down and try to make the joint smoother. Once you've pulled the jointed section through the top pulley on your flagpole and back down, remove the wire and tape. 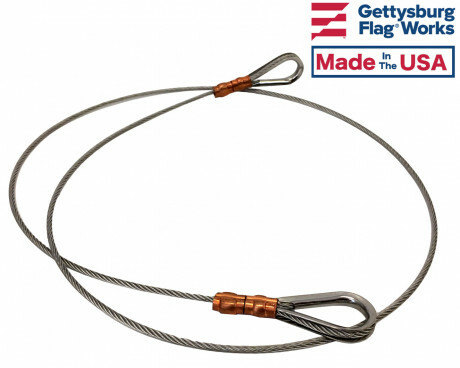 You can now tie the ends of your new halyard together and reattach your flagpole clips and your flag. Parts on an internal halyard flagpole can need replacing as well. This type of flagpole has more hardware than an external halyard pole but changing out parts is similar. You want to lower and remove your flag before working on your flagpole hardware. 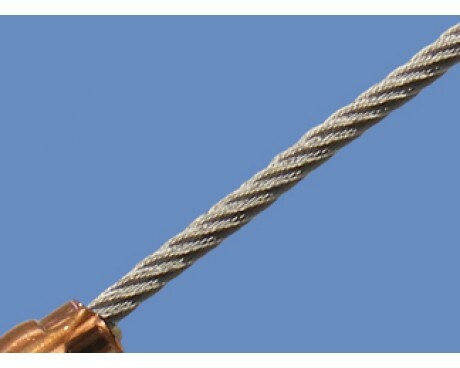 Some flagpoles use wire center halyard or even wire cable instead of standard flagpole halyard. These can be replaced using the same method as above. A flagpole arrangement is the section of wire that the flag is attached to on an internal halyard flagpole. This is attached at the end of the halyard and is made to fit the size flag that you intend to fly. If you are also using a weight or a retainer, they would attach to the clips at either the top of bottom of your arrangement. 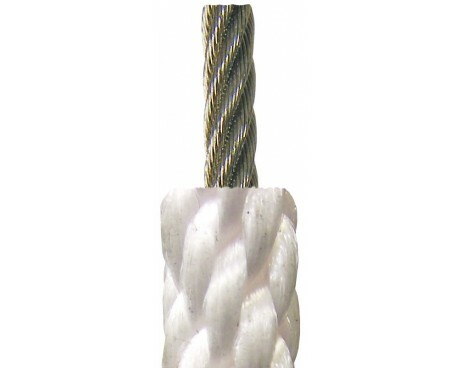 The cable assembly is made to minimize unraveling of your cable due to rotation of the truck assembly. It attaches inside the flagpole and allows the twist to come out of the cable with a stainless steel swivel. There are many flagpole parts that you'll want to replace on your flagpole from time to time. Some of those include clips (snaps), retainers, weights and cleats. We are happy to help you with quality flagpole hardware that will allow your flag to fly proudly all year long. Please also check out the huge variety of flags that we offer.